This post isn’t about the Vipassana. It is about what happened after I emerged. When I left the meditation course, I decided that I would ask the people close to me about their picks for life changing books, and then read them one by one. My mind was profoundly shaken by the course, so why not add new ideas to the mix? That was January. It’s September, and I can say that I’ve read dozens and dozens of books this year. Some of them were good, some of them didn’t resonate, but all of them were important because they impacted people who matter to me. Earlier this month, I extended this question to my readers via Facebook, curious about what would surface. I know that many people who read this site are interested in travel, but to be a frequent Legal Nomads reader you also have to love words. My posts are long! 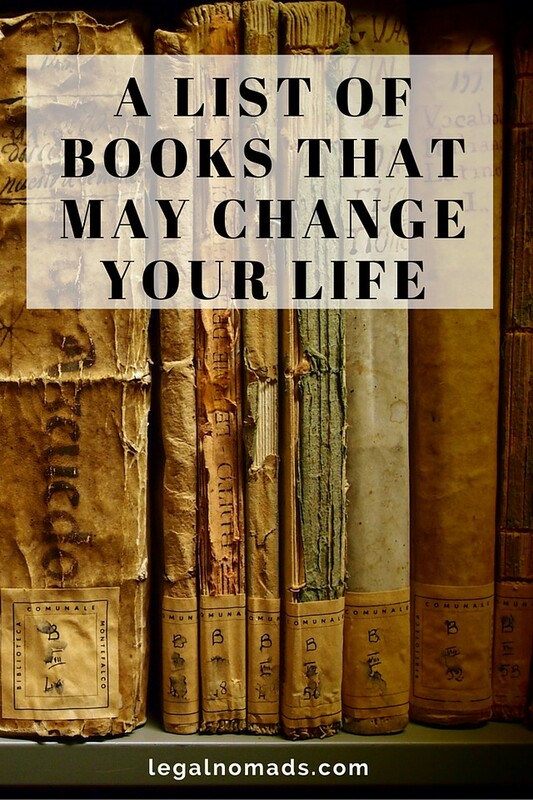 As I explained on the thread, when I said “life changing books” I meant the books that jarred you into seeing the world differently. Those books that inspired you to modify destructive patterns, or to embark on an honest spate of self-work despite how tough it is to do so. 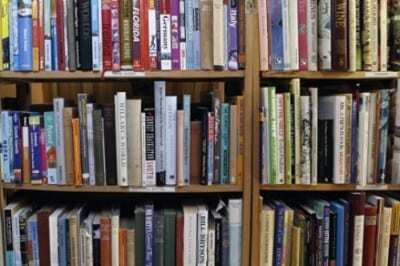 For some these are self-help books, for others they are travel stories that paint what we know a little differently, and of course there is also plenty to be learned through fiction. 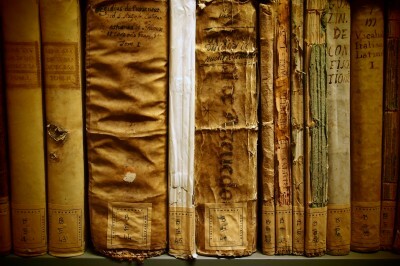 I wanted the books that spoke to your souls. 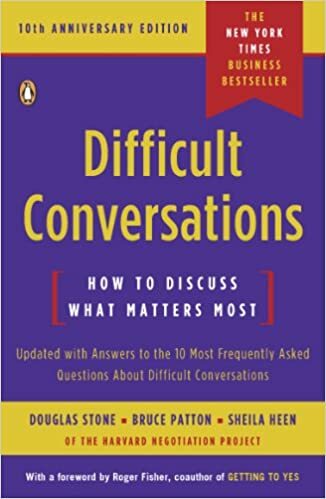 , by Douglas Stone, Bruce Patton, and Sheila Heen: I’ve recommended Difficult Conversations multiple times since I read it. Per its fans, the book has proven useful in the boardroom and at home, as well as in high-stress negotiations. For me, it was a really interesting read into the psychology of tense conversations, as well as providing really useful ways to diffuse them when they escalate. We are often taught to try and put ourselves in other people’s shoes, but I think some people are more empathetic than others. Or, for some, empathy and sympathy are conflated and it is more difficult to see things from another angle. For almost all of us, when stakes are high and emotions run rampant, having an objective discussion becomes really tough. When we feel threatened, or when we feel like we are taken advantage of, our discussion techniques almost always make the tension worse. This book provides tools to listen to what the other person is saying and respond in ways that helps actually solve the problem instead of assuage ego. I can’t recommend it enough. 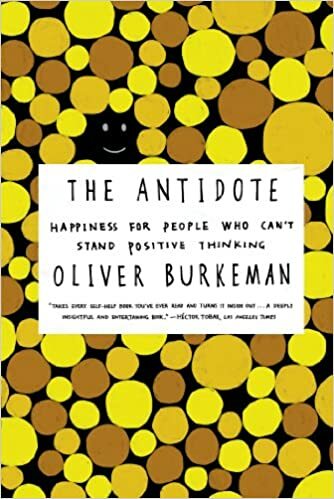 , by Oliver Burkeman: Friends recommended The Antidote to me when I was complaining that many of the book recommendations from the year were about learned optimism, and while I understood how it could be useful it really didn’t do much for me. (For what it’s worth those books also talked about how lawyers are pretty terrible at being optimistic, so maybe I’m just too textbook for my own good.) The subtitle of the book is “Happiness for People Who Can’t Stand Positive Thinking”. SOLD. In it, the author argues that self-help and forced optimism can do more harm than good, that it’s our constant effort to eliminate the negative that causes us to feel so anxious, insecure, and unhappy. Instead, he suggests the “negative path”, one that has roots in Stoicism and Buddhism and essentially boils down to acceptance and letting things go. Some of us are better at this than others, but if you’re a Type A personality and a perfectionist, it’s one of the harder things to put into practice! Enjoyably written and entertaining. Radical Acceptance, by Tara Brach: I used to think “acceptance” was a strange way of confusing yourself, of deluding yourself into believing that it was ok to be angry or anxious or upset. For those who might see themselves in this statement, Tara’s book is a good place to read about an alternate viewpoint. 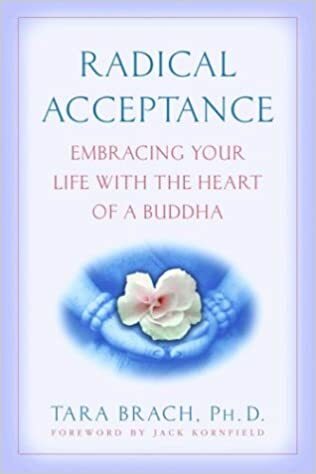 Per Brach, radical acceptance has two elements: it is an honest acknowledgment of what is going on inside you, and a courageous willingness to be with life in the present moment, just as it is. Basically, to recognize what is going on and be sufficiently self-aware in order to parse through it, and to look at those feelings with self-compassion. Tying into Brene Brown’s work on vulnerability and shame, albeit in more Buddhist terms, this book was one that challenged the ways I saw myself and the world, and I found to be a really valuable read. 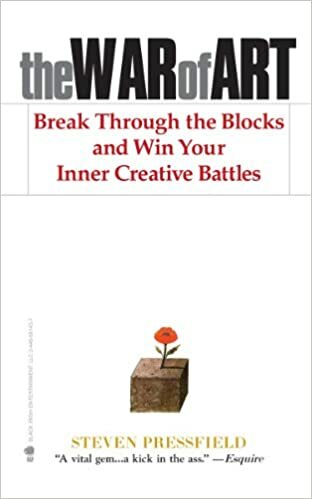 The War of Art, by Steven Pressfield: A really worthwhile book that addresses what you really want out of the work you do, and how to craft a career that feels authentic and successful to you. If your work or hobbies involve the act of creation, this book will be a really interesting and likely compelling read. Less of a how to about the work itself, and more about retraining your brain to be in the right mindset to thrive in a creative field. 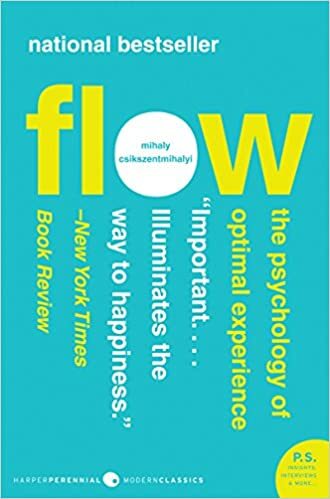 Flow, by Mihaly Csikszentmihalyi: Existing in a true state of “flow” is an impossibility for a prolonged period of time, but what psychologist Mihaly Csikszentmihalyi refers to in this famous book are those moments of optimal living, when we are our best selves. Each of these episodes drives us to live more meaningful lives. It refers to those moments where we forget about ourselves, where we are working hard toward something larger, and we lose sense of time and place. In the book, he discusses the eight components of flow and how to try to bring them into work and play in our own lives. At its heart, flow is a bit of a dichotomy, because it requires cooperation between some disparate states. A really interesting way of looking at work and thought patterns. If you like longform writing, you might also want to check out my Links I Loved newsletter, featuring the best writing from around the web. For more of my favourite books, please see my post on the best books I read during my travels, here. I come from a family of obsessive readers, and was even grounded as a kid for reading under the covers past my bedtime. Even today, I tend to avoid movies and prefer to read, wrapping myself in prose and learning via text. My friend Cheryl donated at a small TV to me in New York when I was working there, something she had replaced in her own house with a larger screen. It was 13 inches large and I referred to it as my picture box, then turned it on only to watch football and promptly forgot about it at all other times. When I have free hours, I read. When I take walks, I think about the books I’ve read. The fact that I can travel around the world with a portable device that serves as a home for thousands and thousands of words is a gleeful thing. 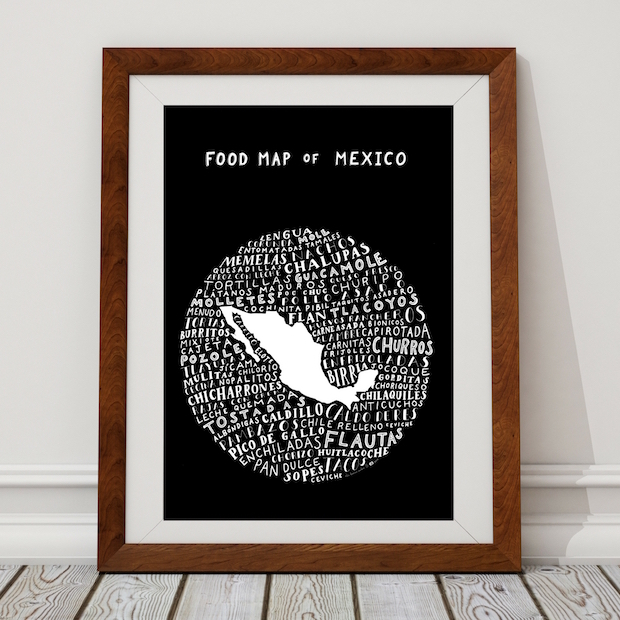 Words are what ties all the disparate parts of my Legal Nomads empire together: the pieces about food, curating what other people have written from around the web on Twitter, the beautiful hand-drawn maps of food that are now in my store. I am honoured that you have all shared so many of the words that moved you. I’m suspicious of anyone who says they don’t read because it’s the best way to keep learning, and to me at least that’s the most valuable self-work we have. A big thank you to those of you who participated in this thread. There are many great suggestions, some books I have read and others ones I have never heard of. I am publishing them alphabetically so that you can easily search the list. As with the above few books, there are links to the Kindle editions. Five Decades: Poems 1925 – 1970 by Pablo Neruda. Meditation: A Way to take charge of Your Life by Arun “Yogi” Parekh. The Selected Writings of Friedrich Nietzsche by Friedrich Nietzsche. Waiting For The Barbarians by J. M Coetzee. Jodie, thank you for sharing this wonderful list! Is there any way to post a link for printing it out as opposed to printing all the pages in this post? While I’ve read a number of these books, it would be great to keep the list at home and check when I’m looking for something to read next. Hi Pat, I’m actually going to build an Amazon store so that you can go to it as well. I’ll put it up and update the post soon! Wow what an extensive list of books here. I’m going to Amazon to get some of these. Nice list. I was happy to see so many of the books I have loved and a good number more I would still like to read. Thank you Jodi. A pretty good resource. Wow! An excellent list! Was glad to see A Fine Balance, Illusions and Atlas Shrugged on it because these books have indeed shaped the way I think today. And there are so many in there that are actually on my to-read list. :) Thanks for the post! Living and traveling with my husband on our 37 ft boat, I think I definitely might have to check out ‘Difficult Conversations’. But now I’m so happy to know of a slew of other books to check out as well, my library has really been lacking lately. Thanks for the recommendations! Hi Jodi, I am looking forward to hearing more about your Vipassana meditation course experience. I have recently been looking into dates around my area. I am sure it was pushing the boundaries well beyond. I love this list of books! For my family the book that inspired us was One Year Off by David Elliot Cohen. We had never heard of a family taking a sabbatical to travel prior to reading this book 10 years ago. Now that we know where to look, it seems like there are thousands of families doing just that and in 18 months, we will join their ranks. Thanks for the book suggestions. Of the ones you listed, the one that stood out the most for me was “Difficult Conversations”. Listening & understanding one another is a vital step for any positive change in this world. 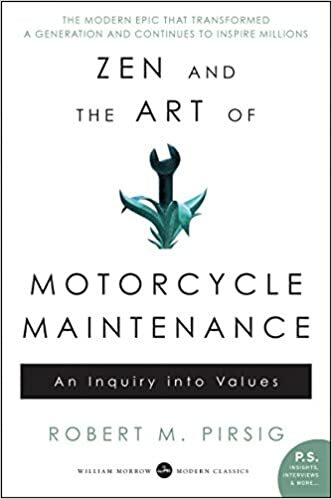 ” Zen and the Art of Motorcycle Maintenance” also seems unique. I like how it starts off with a story about a motorcycle trip to convey its message, its approach sounds similar to what you were explaining in your recent Storytelling article. Of the two, which would you read first? They are exact opposites. One is a more sterile book, meant to be instructive in a classic sense. The other is a story, meant to be instructive in a storytelling sense. Just read them both! Great list! I’ve only read maybe 14 from the list but I now have a Christmas wishlist, thanks! Thank you Akid! Hope you continue to enjoy the site. 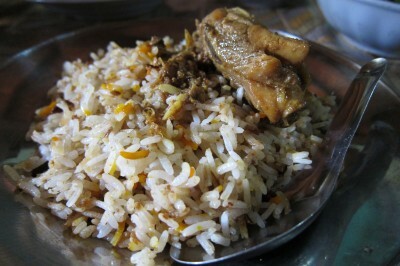 I reached this page after reading about your Vipassana experience. The books I wish to recommend are not in the list but I did a site search nonetheless to make sure they aren’t mentioned elsewhere. They aren’t. These books have two kinds of reactions from people – there’s no third way. The first kind of reader is completely unaffected. Interesting but too out there, they say. The second kind – they are profoundly influenced, as in, pack their bags and leave whatever they are doing in life to live the way shown in the books. The count of second category of people runs into several thousands, if not millions, in Russia where these books have started a movement. “The Ringing Cedars of Russia” by Vladimir Megre is a ten-part (and continuing) book series about the author’s conversations with someone who has a distinctly unique perspective about life and a number of other things. When I say “distinctly unique”, I mean to refer to ideas that have never before put into words. Ever. The first book is called Anastasia and it came out in 1996 and the last one is called Anasta, it was released in 2010. Great list Jodi! Man’s Search for Meaning by Viktor E. Frankl, incredible book! A book I could highly recommend which I did not found on the list ( it only recently got released) is tribe by Sebastian Junger. It address a problem society has created for us, a problem many people struggle with, the one of belonging. Thanks for your suggestion Jellis! Water for Elephants is just a wonderful book about the circus. I loved reading every word of it. Hi Isabella, it’s just a regular blog post in my theme. 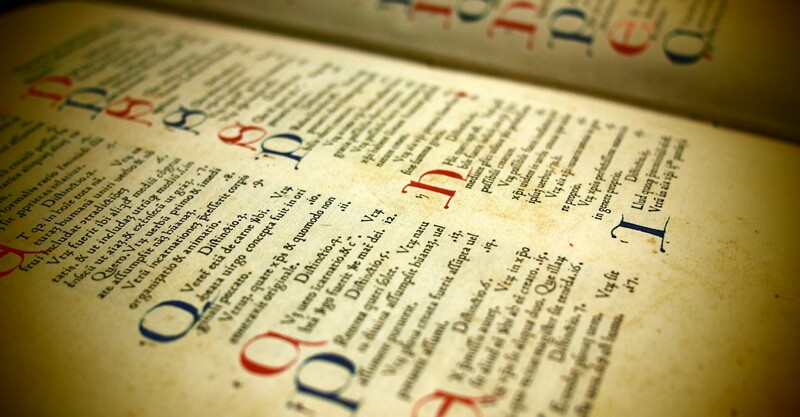 Love this list – I am glad to see that I read some of them! If you permit, I’d like to recommend The Happiness Trap – recommended by my psychologist, makes a world of difference for someone who sees patterns and understands the logic behind how to get better at handling severe anxiety disorder and depression. Thank for your thoughts and post about Vipassana! * The Plague (Albert Camus) – Beautiful and thoughtprovoking, one of the best books I have ever read. Camus was a philosopher and the plague is seen as a metaphor for the problem of evil or for human suffering and he offers suggestions through some of the main characters as to how he things we should deal with it.